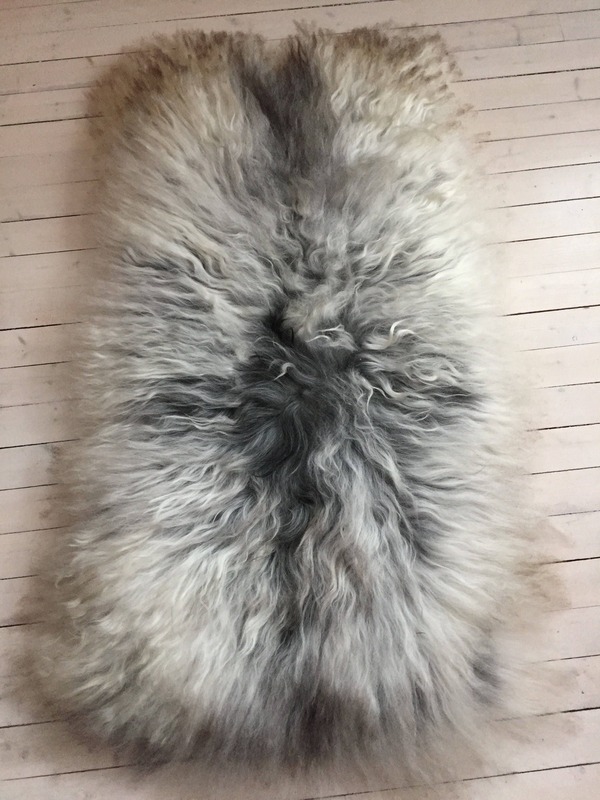 This sheepskin rug has been cut into a rectangle 90 cm x 40 cm (35" x 15"). 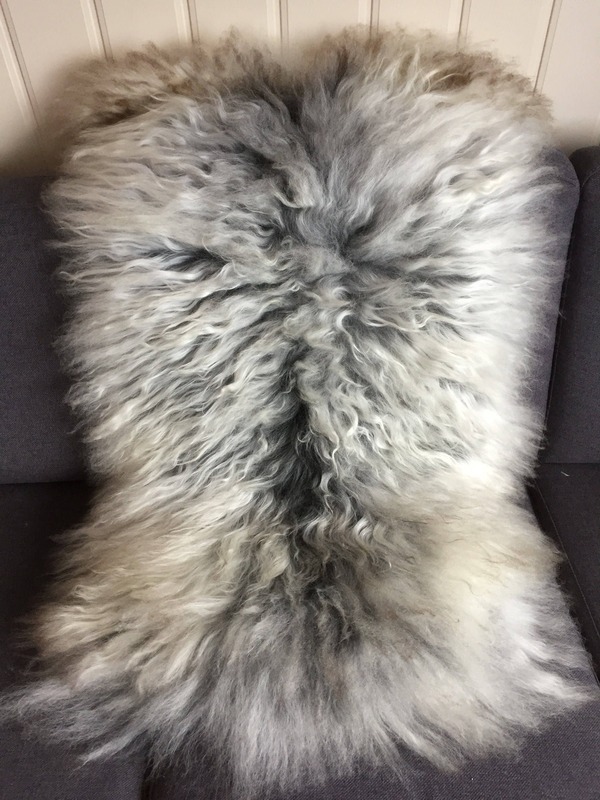 A frame of sheepskin has been sewn onto the hide side by hand. Then a hand woven cloth matching the rug's colors has been sewed onto the hide side. 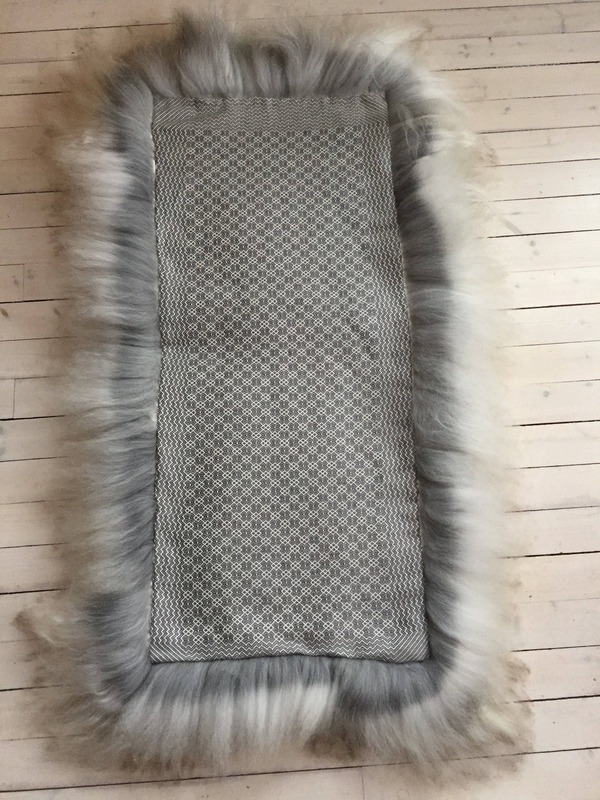 This rug represents two Norwegian handcraft traditions combined in one product. 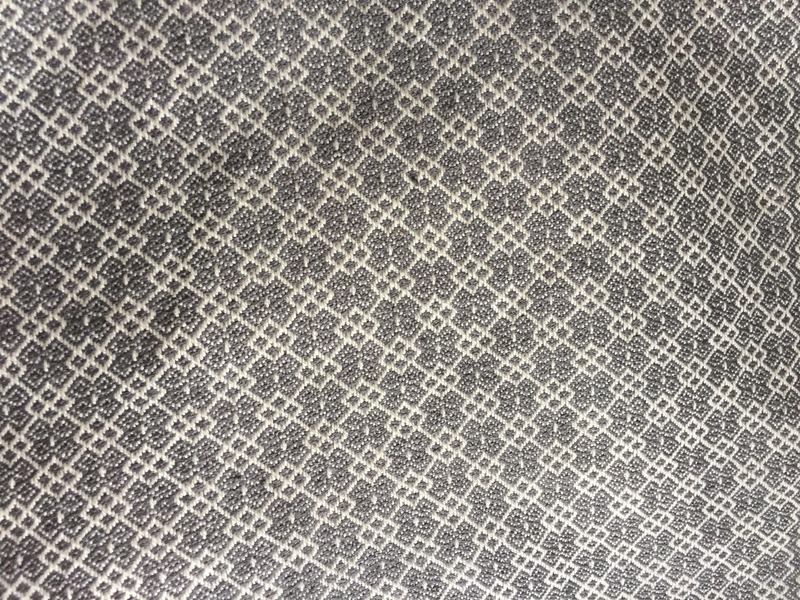 The hand woven cloth is made by an elderly lady with years of experience. She weaves with very fine and thin thread. Excellent work. 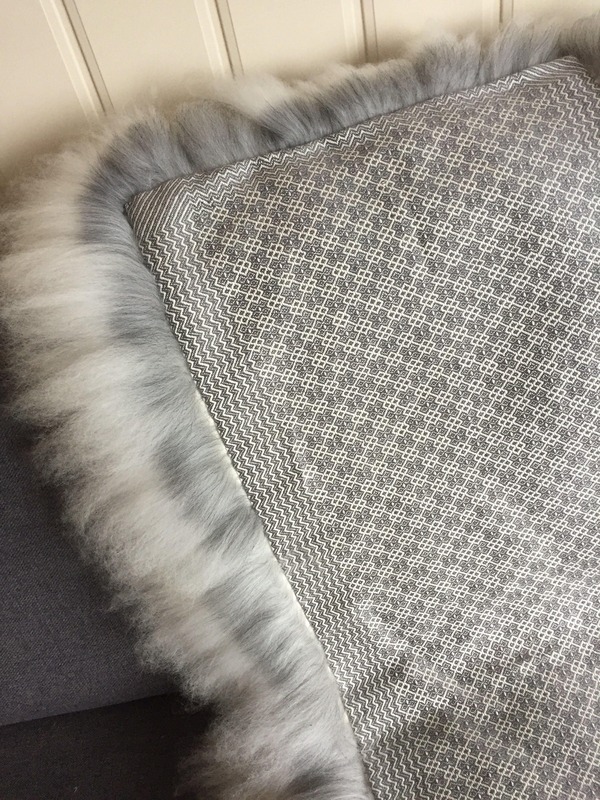 The cloth can be removed from the rug and used separately. 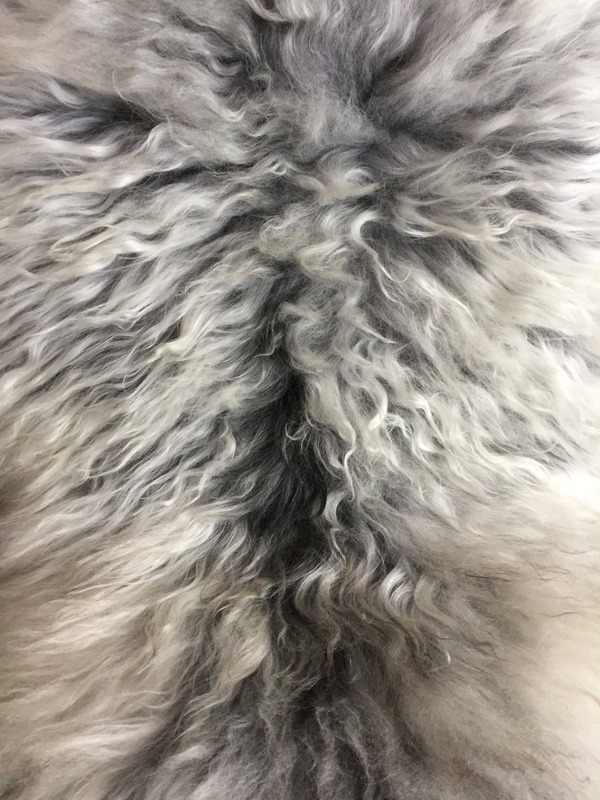 The sheepskin rug can be cleaned by hand if you follow the tanner's instructions, but then the cloth must be removed first. 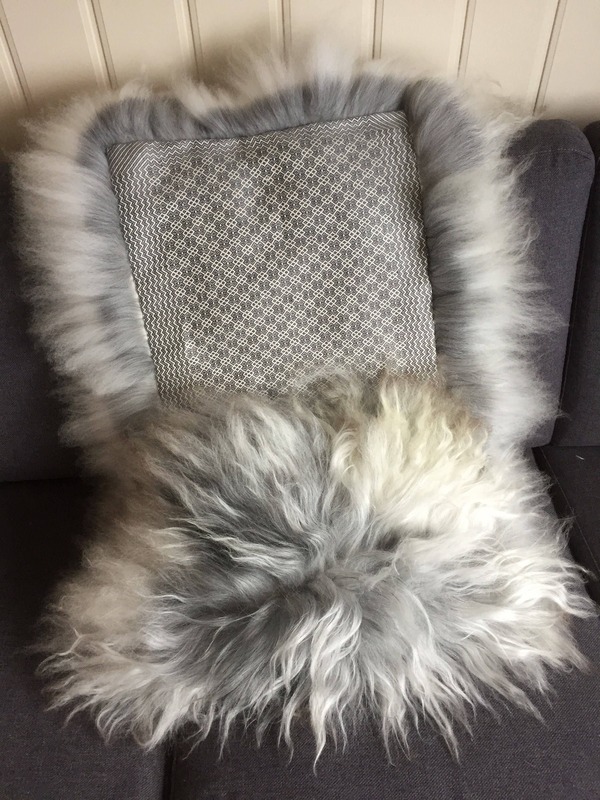 It can be sewn back on by fastening it to the seams of the sheepskin frame. 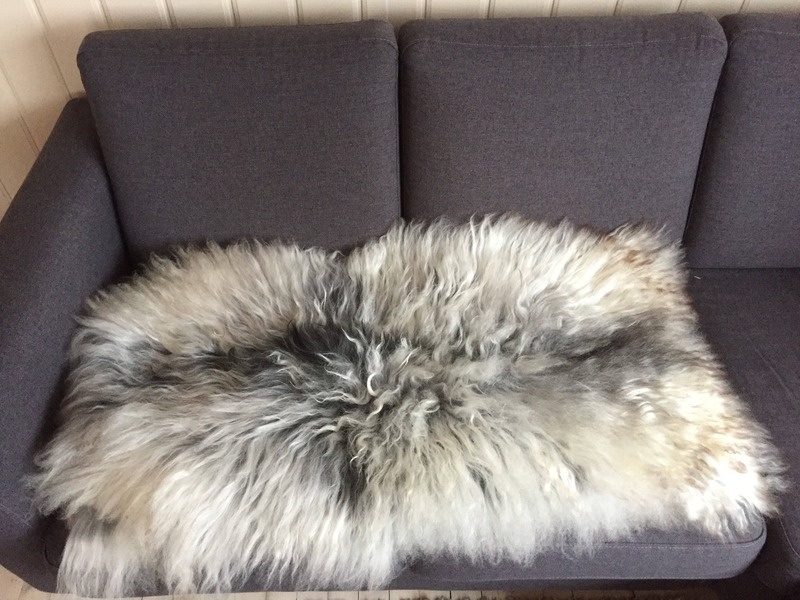 The sheepskin comes from the Old Norwegian Spael breed. Its lockes are long and wavy, the colors are natural and the rug is volumous and lush. 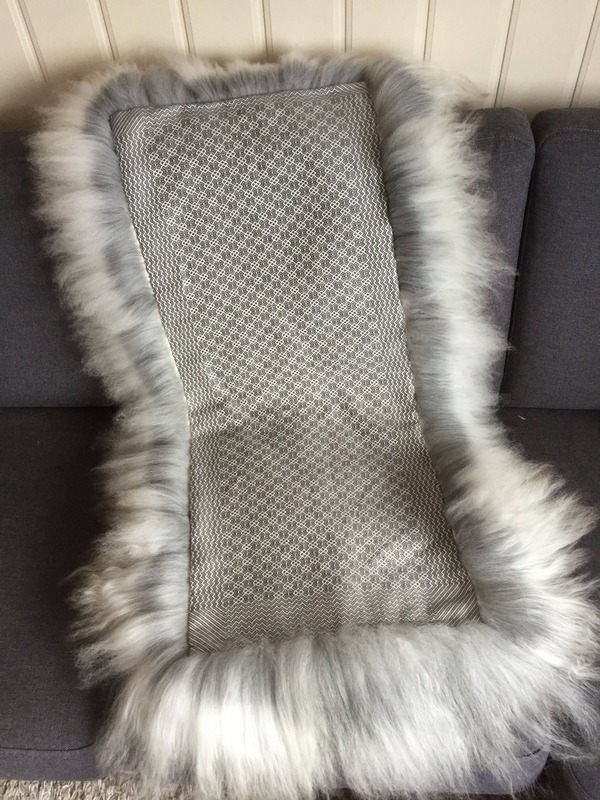 It has been tanned to world class quality by a Norwegian tannery. 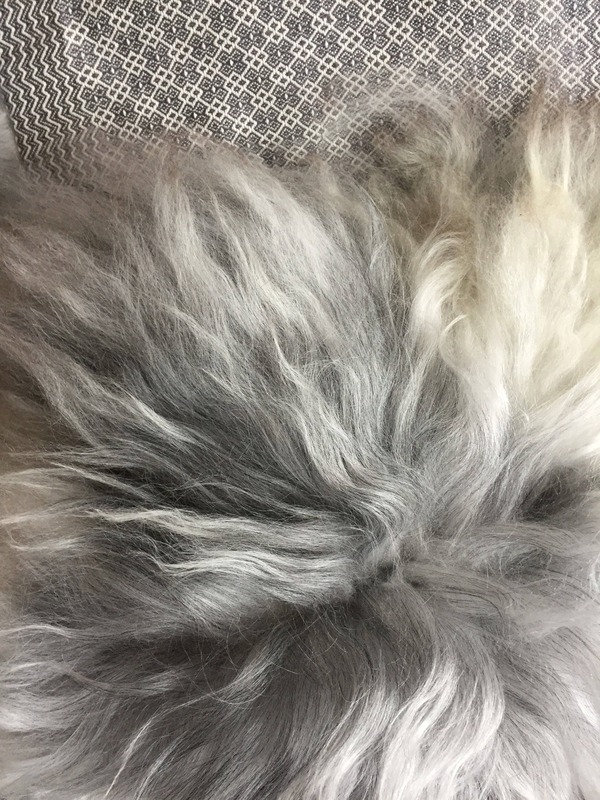 So lovely, silky soft and even smells great. A wonderful cozy addition. Thank you!